This week I happened across an item on Craigslist I couldn't resist. There are 4 or 5 I haven't yet identified. 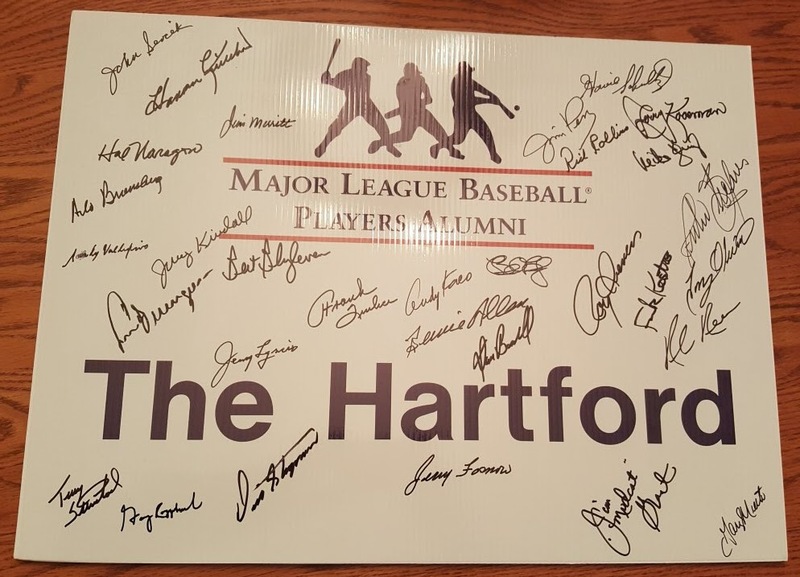 There are a lot of 1965 Twins on the poster, and a few ex-players that live in the Twin Cities area. 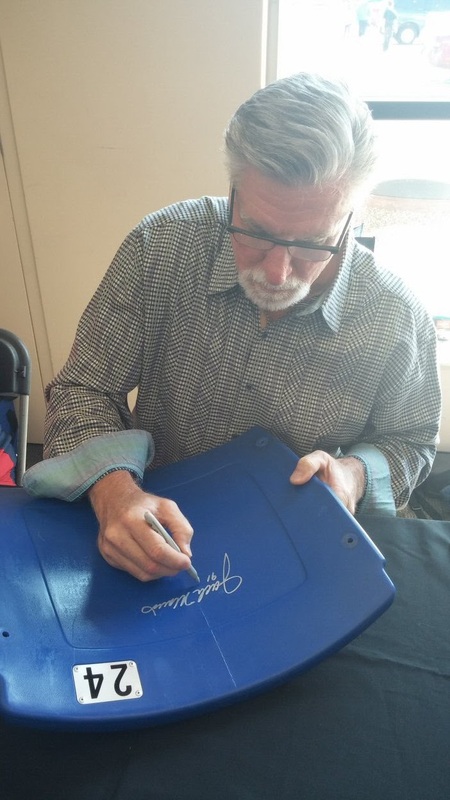 I was very happy to see Jack Morris voted into the Hall of Fame. Some argued his stats weren't worthy, with a relatively high ERA and not coming too close to the 300 win automatic criteria. But being the winningest-pitcher of the 1980's sounds like a dominant player to me. He also threw 175 complete games, which is unbelievable in today's game. 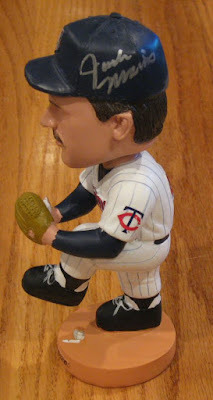 He played on three World Series championship teams, including his MVP performance with the Twins in 1991. He joins fellow St. Paul natives Paul Molitor and Dave Winfield in the Hall. I've been able to get his autograph at several events over the years. Including once at "Woodbury Days" in 2009 where I joined about a dozen other autograph seekers, and could get whatever I wanted signed. I was embarrassed to get too much signed, even though it was for me and my two sons. 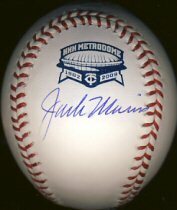 At that event he signed a Metrodome commemorative ball. I've gotten his autograph at several TwinsFests, including the one in 2012 where he signed his 1991 World Series set bobblehead. I think my favorite autograph from Jack Morris was the one I got at the TCSCC show in September of 2014 where he signed a Metrodome seatback for me and added his World Series MVP inscription. 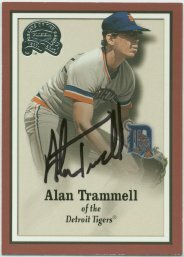 Alan Trammel was also elected to the Hall of Fame. 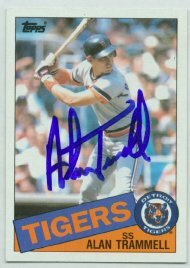 I've never met him, but he used to sign through the mail for free and I have received a few cards from him over the years including his 1985 Topps card and his 2001 Fleer Greats of the Game. 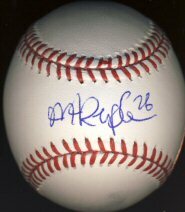 I recently ordered a Max Kepler signed ball from Fan HQ and received it this week. 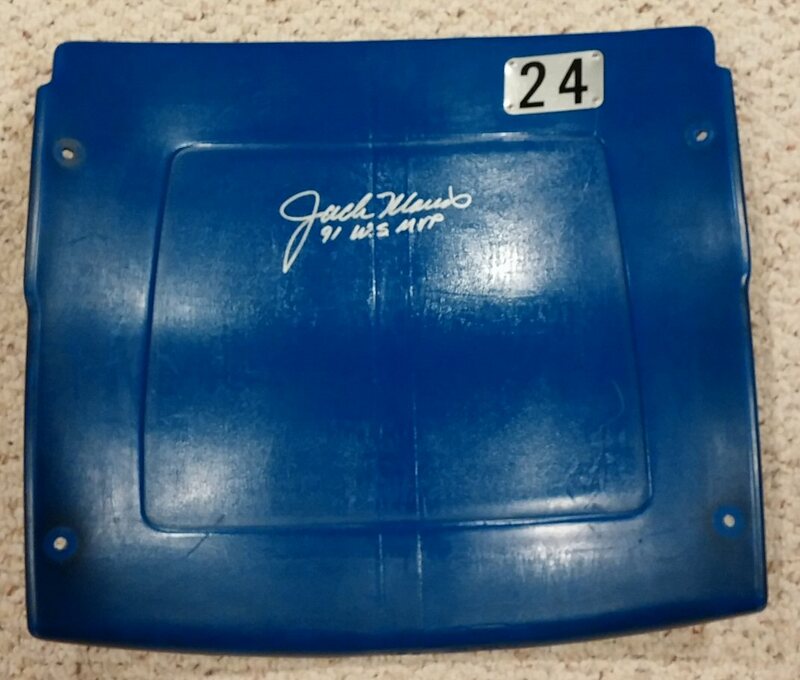 The signature is nice but there's a blue smudge on the panel below the sweet spot. Not too big a deal, but I expect a little more from Fan HQ. It's not worth trying to return. With Rawlings official balls selling for about $20 each these days, I think my days of getting balls signed are limited to the stock I have on hand which includes some older ROMLB, a few Metrodome commemorative balls and some Rawlings Gold Glove balls. 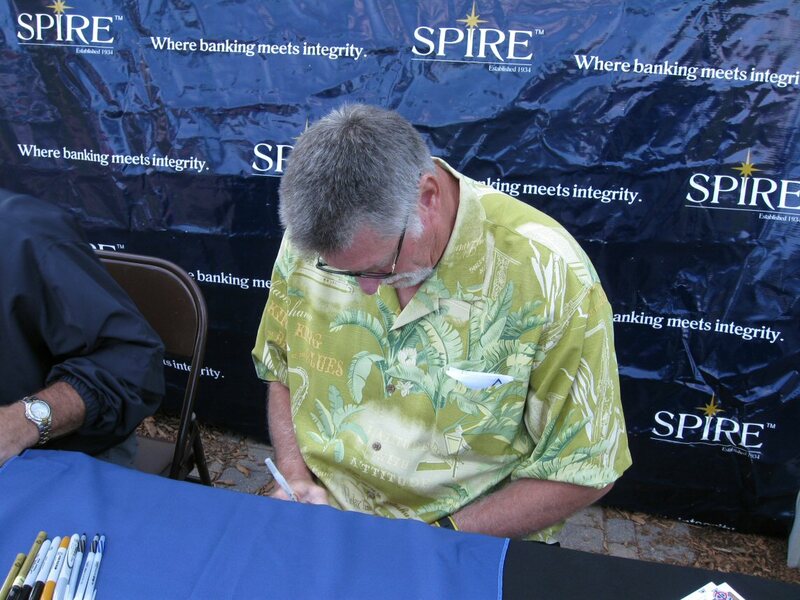 I have not done any autograph requests lately. I'm just too busy with other things and not interested in spending too much money. I originally started this hobby to get a lot of the players form the 40's, 50's and 60's. 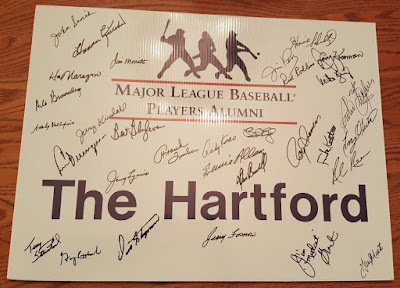 Unfortunately, there are fewer and fewer of those players around these days, and I have many of their autographs already. I think my collecting hobby will be largely limited to the Twins moving forward. I'll still work on my 1958 and 1965 sets, buying authenticated cards a I can.